It’s here! 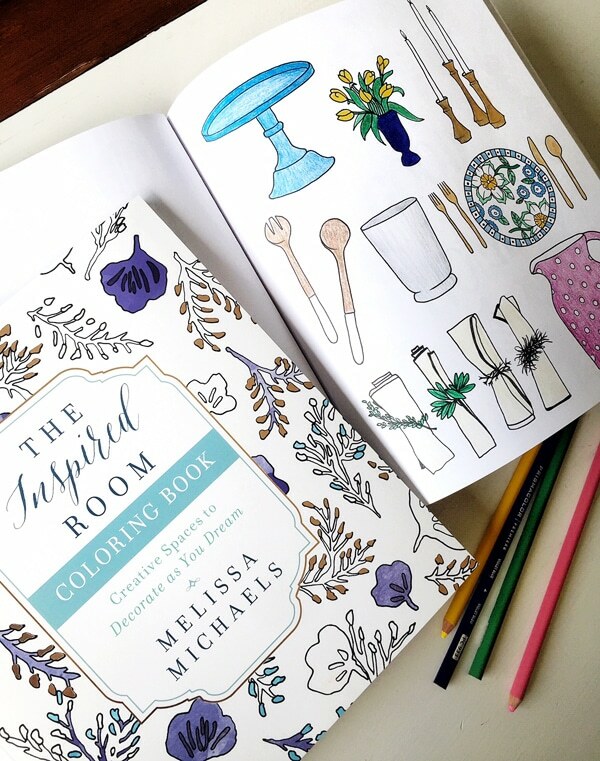 You can finally order this interior design coloring book for home decor lovers like us! 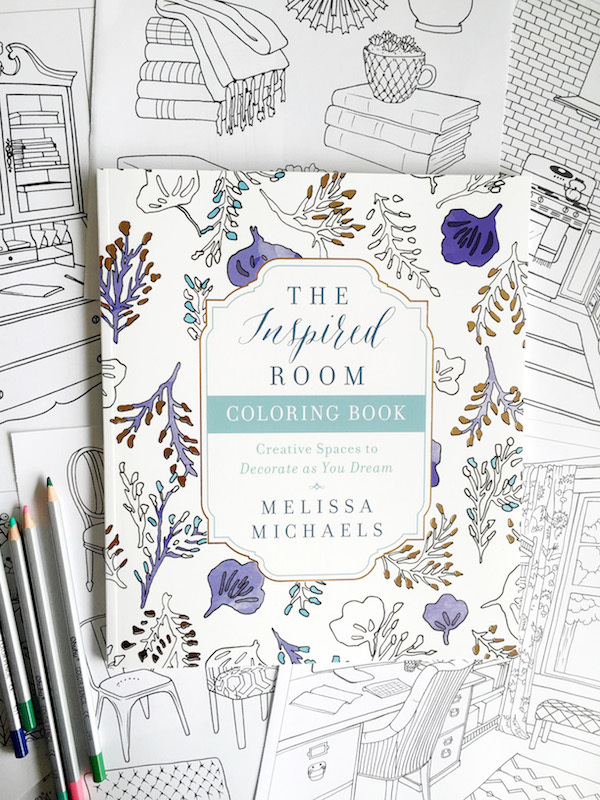 I’m so happy with how The Inspired Room Coloring book turned out. The artwork is absolutely darling and the shimmering gold foiled cover is so nice you could set the book on your table for display. There are 80 high quality pages, each is single sided and perforated so you can remove or frame your favorites. 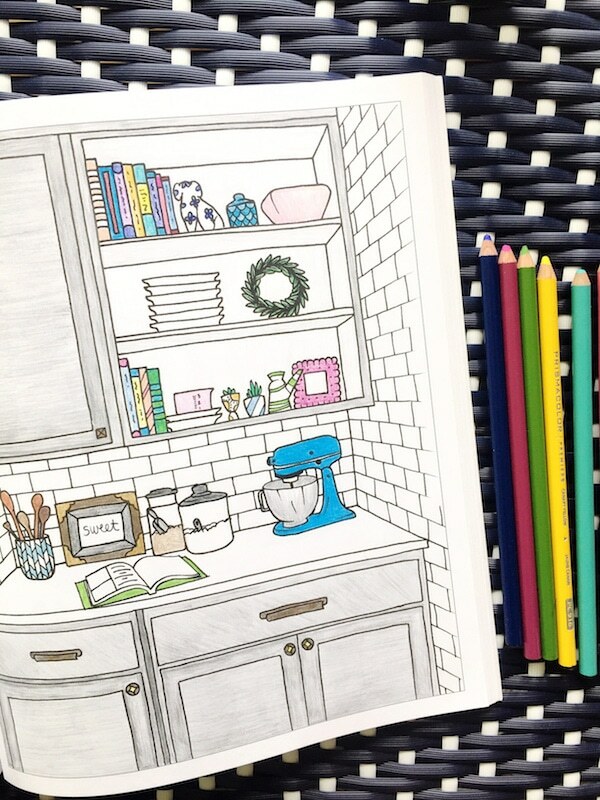 You’ll find rooms to design color schemes, pages with fun vignettes, furniture, accessories, and patterns to color. You’ll even find a few adorably designed quote pages that can be torn out and used as wall art! 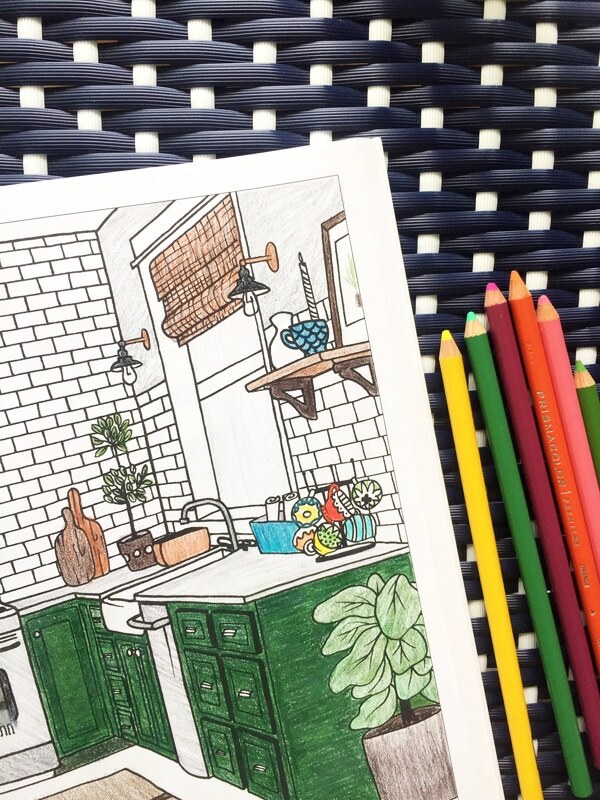 Trust me, if you haven’t colored in years coloring will take you back to carefree and creative days of childhood! It would make a PERFECT gift, too! 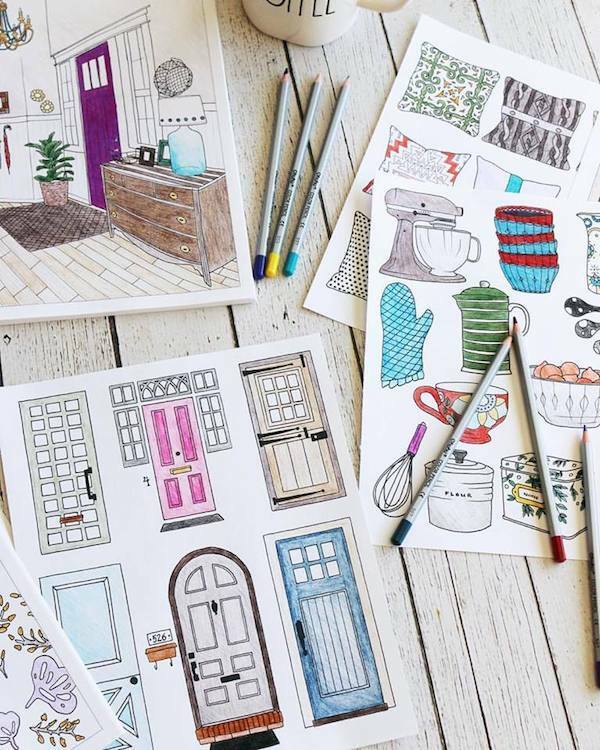 Hosting a coloring party would be a super fun way to bring your girlfriends together to spend time around the table chatting and coloring. 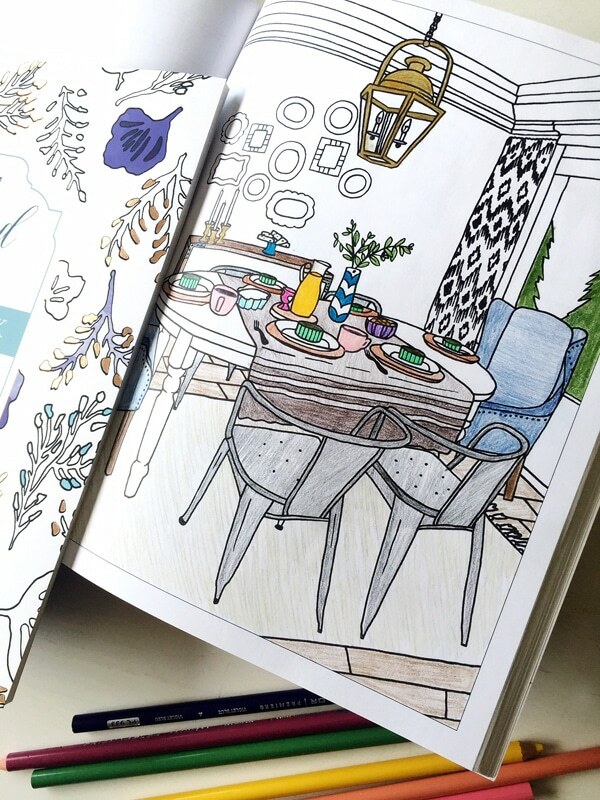 My favorite thing about coloring these pages is how you can transform the rooms and decor inside the book with your own special color choices and creativity. It’s so fun to dream up fresh color schemes that suit your personality and express your style. 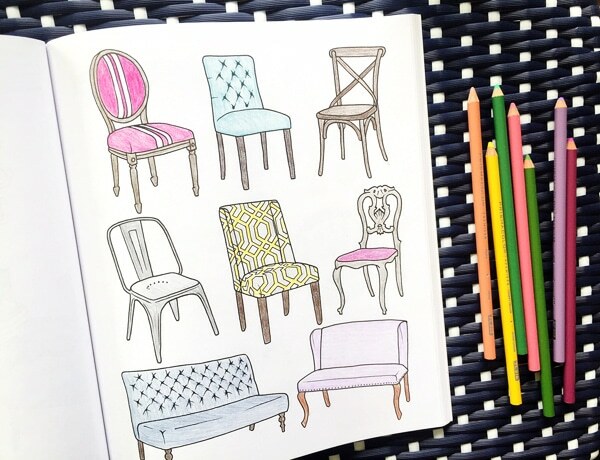 An interior design coloring book is a fun way to explore and imagine the colors and patterns you love. 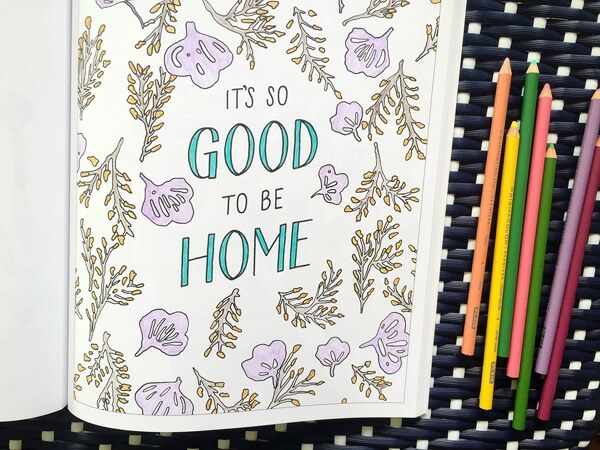 Even if you haven’t gotten into the “adult coloring book” craze yet, I think you will LOVE this one. 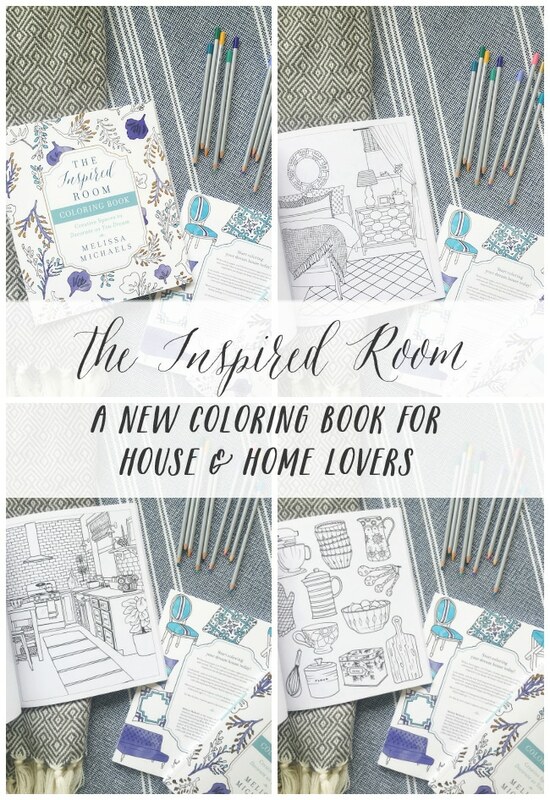 It’s a dream to finally have an interior design coloring book for home lovers! Get your copy today at Amazon or Barnes and Noble or ask for it at any local coloring book retailer! 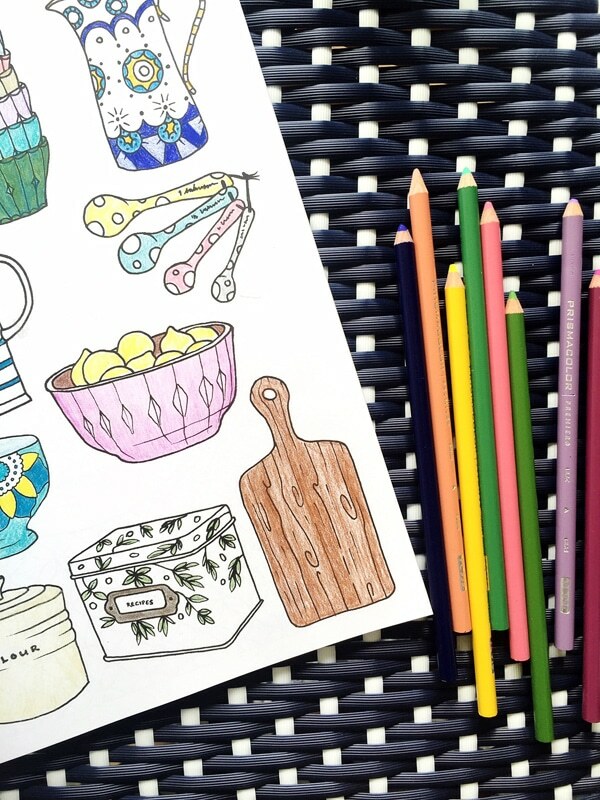 Order our favorite coloring pencils here or here.